I really got the baking bug in secondary school when I was in Year 10. My food studies teacher used to say “you are the best in this room missy, your cakes make people happy, keep making people happy”. Her words stayed with me forever and so I kept baking. My cousins and I tried to make a pie on the stove top. It was a mess! Raw meat, burnt pastry, undercooked pastry, post apocalyptic baking disaster in the kitchen and two very annoyed mums! Baking disaster but disaster gold! And your baking triumph ever? I was once on a mission to make macaroons and I started at 8am and after making 7 batches and 7 trips to the supermarket I messed up each bake. I was in bits! I had a bin full of pastel coloured meringuey mess and I was so deflated. So at 1am (with a prayer and some hope), I made my 8th batch – perfect peppermint and dark chocolate macaroons. I keep convincing myself that Paul and Mary are just people and for a while that makes me feel better. The ease was short lived as I’d look over my shoulder and see them across the way. I’d be thinking “that is actually THE Paul and Mary duo in front of me!” And I was back to feeling nervous all over again. They are baking legends! It’s hard not to feel nervous. 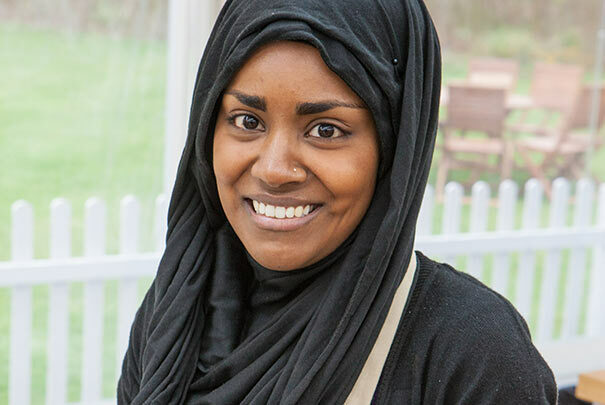 Which past Bake Off contestants have impressed you and why? Kate and Martha from series 5 were so impressive. Martha was so young, yet so clever and so together as a person. She was a pleasure to watch. Kate was such a delight to watch too. Her bakes, her personality plus very few people can rock lilac streaks in their hair like she can!! My biggest fear in the kitchen is food poisoning. The thought of making someone ill makes me feel ill! Luckily it hasn’t happened yet. With any luck it won’t happen ever. Paul or Mary? It’s like asking me to choose between my children and I can’t do that… Paul AND Mary of course!